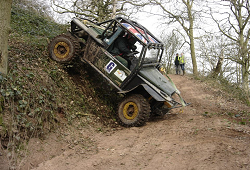 The Goodwinch Valhalla Challenge is a 2 day Off Road Challenge set out at Boughton Estate in Northamptonshire (Weekly Woods/Geddington Deep Scar). Forms can be downloaded from the Forms page! Please refer to the Events Page for any dates. Sections will consist of a number of special sections (which may be timed) each containing at least one (possibly more) punches. Teams will be required to visit these sections in a particular order. 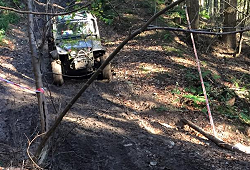 Teams will start their section at the same time and will be required to assist each other to complete the sections and collect punches, when sections are timed, the clock will not stop until both vehicles in the team, working together pass the finish line. The 2 crews, which make up a team are able to assist each other. 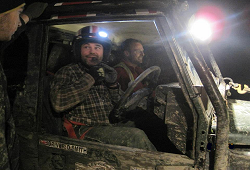 Once both vehicles within the team have completed the section, they are then able to move on to the next objective. In event of an individual crew breaking down, they may return to the paddock to carry out any necessary repairs. The remaining crew in the team may move on to their next objective and the repaired crew may rejoin the team, however a section will not be able to be revisited and the appropriate points/times lost. At the end of the daylight section of day one, each crews’ punch cards will be removed by the organisers. This will be identical to Part One, Day One, but the sections will be longer, less technical and may include more than one circuit of the section. Punch cards will be removed by the organisers. This will be a straightforward Punch Challenge, the objective of each team is to visit various numbered punches in any order. Each of the crew members in a team will be allowed to work together in order to attain the punches. There will be no special sections on day two. At the end of day two, each crews’ punch cards will be removed by the organisers and the total of these scores (added to scores from Day One’s day and night sections) will be used to determine a winning team.